In Virginia, The Count is Finished – Let the Recounting Begin! The document in the image above is an election certificate. It’s what elections are, at their core, designed to produce – and the piece of paper that every candidate hopes will feature his or her name. Now that the Virginia State Board of Elections has certified the close race for Attorney General, the Commonwealth’s election community now awaits what is expected to be a recount request to resolve the almost impossibly-close race. The Chief Judge of the Circuit Court where the recount petition was filed and two other judges appointed by the Chief Justice of Supreme Court of Virginia make up the recount court. The recount court, outlines all procedures and the manner in which the recount will be conducted for each type of voting equipment used (pursuant to § 24.2-802 of the Code of Virginia). The court appoints recount officials from among the officers of election who served during the election, who are appointed to represent the respective parties to the recount. In setting the procedures for the recount, the court will also decide if the actual recounting of votes cast will take place in the various localities or in a central location. After all of the votes cast are recounted, the court will certify the candidate with the most votes as the winner. The counties and cities involved in a recount are responsible for paying their own costs for the recount if the margin between the two candidates who are parties to the recount is a half of a percent or less, or if the candidate requesting the recount is declared the winner by the recount court. During the recount, manual review of ballots will be guided by standards that deal with specific cases where a voter’s intent isn’t immediately clear. Jurisdictions involved in the recount (in this case, all of them) will follow the State Board’s 41-page step-by-step instructions which specify the order and procedure for conducting the count and re-certifying the results. 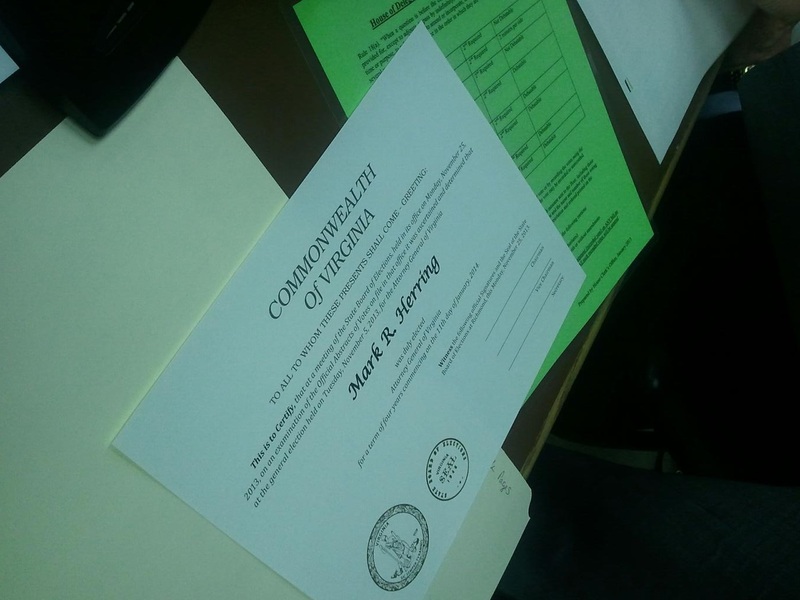 Be the first to comment on "In Virginia, The Count is Finished – Let the Recounting Begin!"